Distribution: Relatively common along rocky creeks and rivers from east Gippsland in Victoria to Brisbane in Queensland. 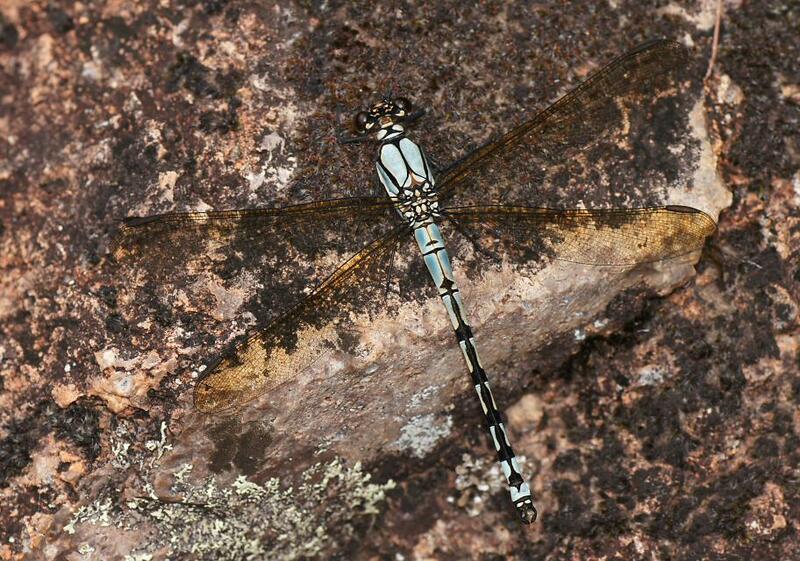 Description: The males of this large damselfly are bright blue and black and the females are tan or olive–grey. 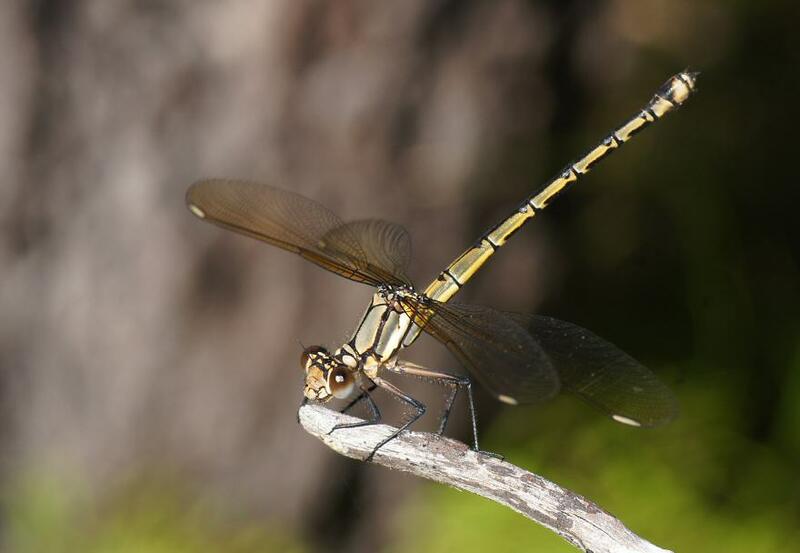 Although damselflies, the species in this family usually rest with their wings spread flat. Similar Species: Male Diphlebia coerulescens are quite similar but have more black on the abdomen (some segments are nearly all black). Females are similar to most other Diphlebiidae females and difficult to separate in the field, though the black pattern on top of the abdomen can be used to distinguish these. Habitat: These inhabit streams and rivers including intermittently flowing ones. 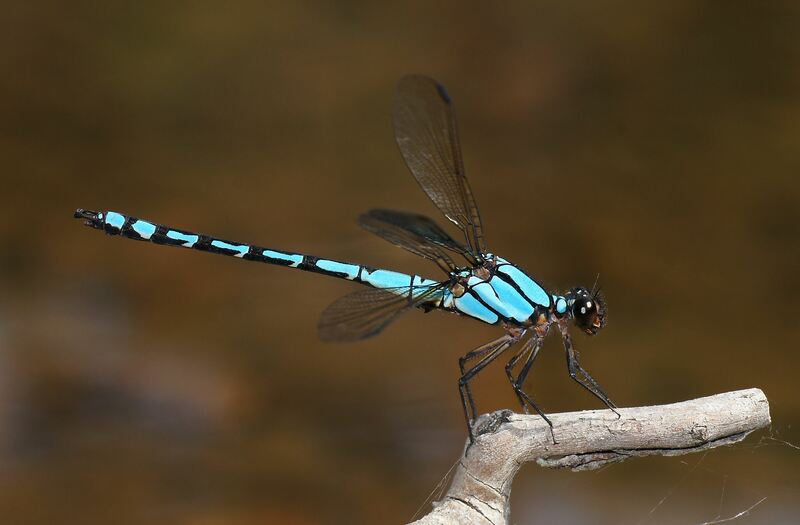 Males tend to congregate along stream margins or at emerging rocks. Behaviour: Males patrol along fast-flowing rivers close to the water and perch on emergent rocks. 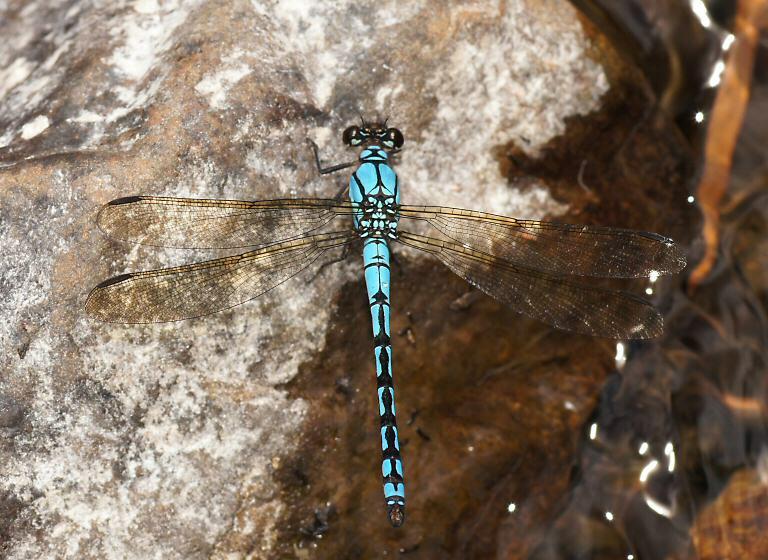 Observations: I've seen this species mostly along rocky creeks and rivers in foothills. Links & References: More information and photos of this species can readily be found on the internet, including the links below.